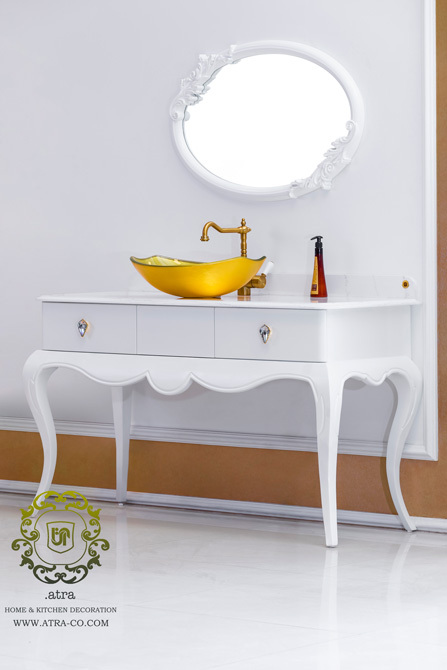 Generally, glossy and light colored materials are used in toilets and bathrooms to make the space look bigger than it is. The material of this model is a combination of wood and locker. Locker is seamlessly performed without any gaps and has a glossy surface. Quartz is used for the top board which is abrasion and moisture resistant. 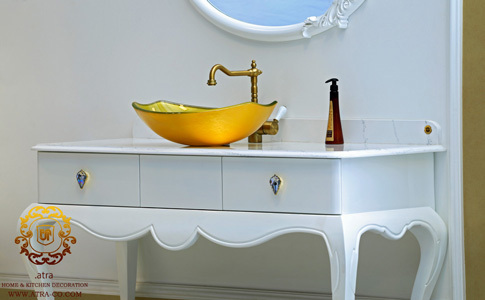 The basin is made of glass, making it both decorative and functional.